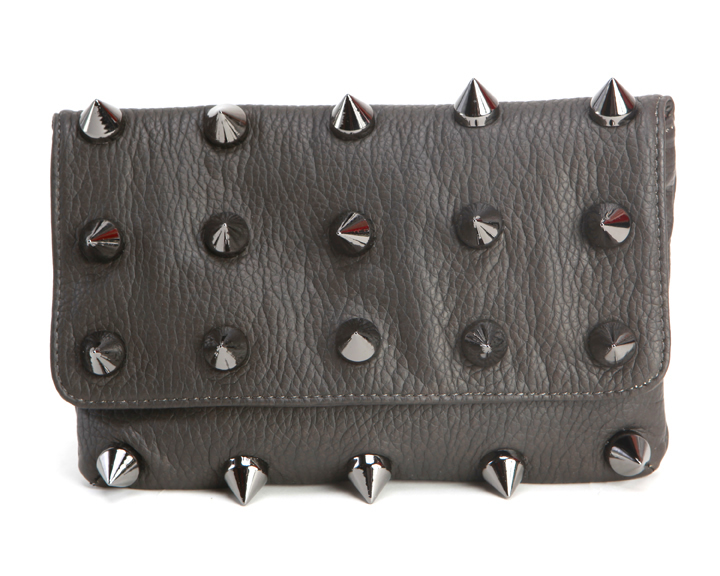 Flaunt this spiked clutch for a fun night out but be warned - all eyes will be on you! Made from deux lux's custom vegan leather, our Empire clutch is a must-have! 9" x 6" x 1"